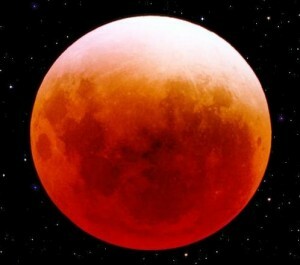 Today marks the final full moon before the spiritually powerful dates of 12-12-2012 and 12-21-2012…. And, the full moon energies are magnified because there is also a full moon eclipse, tonight, too. Every full moon is a bright symbol of the completion of another natural cycle. When you add in an eclipse, and the powerful dates that are quickly approaching next month, you are left with one of the most powerful full moon energies of the year! These energies make receiving guidance from your Angels more easily accessible… open your heart and tune in to receive their love and blessings. Today, I connected with Archangel Metatron and channeled a message to help you tune into these powerful full moon and eclipse energies for personal and spiritual growth. The message has been mixed down with the beautiful music by Thaddeus and together, the audio meditaiton makes for a powerful spiritual experience that will be unique to you. Take the time to connect with your inner light, your higher self and your team of angels who surround you now. By taking a deep breath, letting go of thought and opening your heart you are able to tune in to the light energy that is all around. For many, the process of connecting spiritually can be challenging, although it is inherently simple. This audio message is designed to walk you through the process of spiritual connection while you simply relax and listen to the audio meditation. As you listen to the message and the music by Thaddeus, your energy will be cleansed and grounded into the Earth. From this place of spiritual connection, you are able to work with your team of guides and angels for spiritual growth, healing and to create more love in your life. This message is no longer available… But you can access all of our current meditations that are available by clicking here.